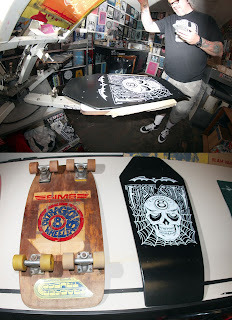 Jolly Roger Skateboards: Why Support Your Local Skate Shop? Why Support Your Local Skate Shop? 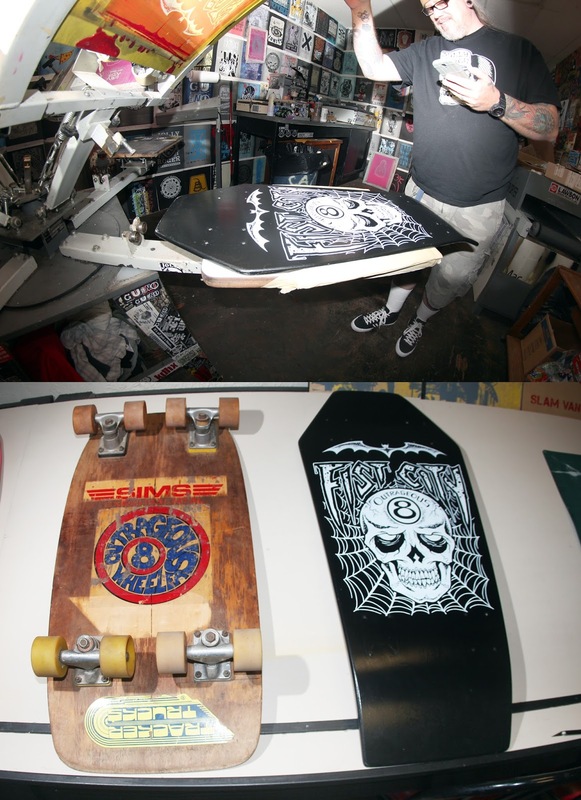 By shopping at Jolly Roger Skateboards you help us support local artists that screen-print their own 8-Wheelers! Don Will printed this one-of-a-kind "Fist City" 8-Wheeler that he cut and shaped. He even did the artwork the old fashioned way, by hand, and it turned out awesome! He also brought in his "Sims - Experimental" 8-Wheeler from the 70's which is equally as rad!